Military divorces and civilian divorce proceedings in New York are very different. 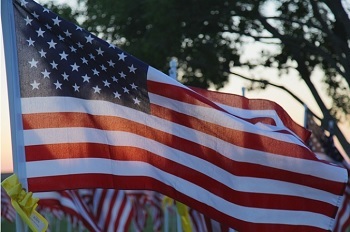 There are protections for military members who are on active duty and unique proceedings regarding how retirement benefits and child support payments are handled during a military divorce. That's why it is advisable for all military members who are in the process of getting a divorce to discuss the specifics of their case with a military divorce attorney who is located in the state where they are stationed. The experienced Long Island divorce attorneys at the Law Offices of Paul A. Boronow, PC understand the challenges you and your family are facing during these turbulent times. We have a thorough knowledge of laws governing military families and have experience dealing with these types of complex divorce cases. We have experience handling military divorces when parties are stationed overseas, and can conclude your divorce by email communication if everyone is in agreement. Please contact us to find out how we can help you. Dividing property and negotiating child custody when someone in the military is on active duty can prove particularly challenging. If you are on active duty, your significant other cannot move forward with a divorce right away. The Soldiers and Sailors Relief Act (SCRA) allows active service members to postpone a divorce for up to 60 days. In this manner, soldiers have time to become aware of and prepare for a divorce while overseas. However, if a service member wishes to be divorced, he or she can waive the postponement and move forward with the divorce right away. The manner in which benefits and spousal support are handled is unique to military divorces as well. The Uniformed Services Former Spouses' Protection Act clearly spells out the rules regarding how military retirement benefits are determined in the event of a divorce. Those benefits are meant for the military member and his or her spouse. An ex-spouse cannot claim rights to those benefits unless he or she was married for 10 years or more. With regard to child and spousal support, there are protections in place to prevent military members from losing an unreasonable amount of their paychecks to their former spouses. Under current protections, child support and spousal support payments cannot exceed 60 percent of a service member's pay and allowances. Dividing property and negotiating child custody can prove particularly challenging when someone in the military is on active duty. Imagine trying to argue that you should have a right to regularly see your son or daughter when you are overseas defending our country. Your spouse will clearly win primary custody and it will prove difficult to work out a regular visitation schedule when you have little to no control over where you will be in the coming months. An experienced Long Island military divorce attorney can help protect the best interests of you and your family. There are simply too many complications and variables to consider during a military divorce to consider working with a divorce attorney without experience or expertise in these areas of the law. You need a Nassau County divorce lawyer on your side, who understands the specific challenges you and your family will face during the proceedings. Call us at (516) 227-5353 to schedule your no-cost consultation. Nassau County Military Divorce Attorney Disclaimer: The legal information presented at this site should not be construed to be formal legal advice, nor the formation of a lawyer or attorney client relationship. Any results set forth herein are based upon the facts of that particular case and do not represent a promise or guarantee. Please contact an attorney for a consultation on your particular legal matter. This web site is not intended to solicit clients for matters outside of the state of New York.